THE ALBUM'S FINALLY FINISHED, AND HERE IT IS! Around December 2017, I ended up listening to a Christmas album produced years ago by the writers of the gaming website, Destructoid.com (which you can find here - https://jonathanholmesandfriends.bandcamp.c...christmas-album). I gave it a listen out of morbid curiosity, and it somehow ended up becoming one of the best things I discovered that year. The mix of heartfelt effort and plain ol' goofiness in how the various writers covered old classics, combined with my familiarity with most of them due to reading the website over the years, resulted in a personal connection to the album that I've never really had with any other album - and with a Christmas album of all things. I wanted to try and recapture that somehow, so I decided to announce my intention to do a collaboration album of some kind back in August. The idea was to get together with people that I knew from both my personal life and forums round the internet and make an album full of songs that were either covers of Christmas standards or original songs inspired by the season. I admit that my approach towards the project could have been better; I could have posted about it on social media sites to try and get more people involved, for example (and not taken a month to set up a Discord chat of all things when I'd become a fairly regular Discord user by that point!). But to my surprise, we now have a finished album that's available to listen to online. It largely consists of original songs with a couple of covers thrown in, but there's a good bit of variety. Instrumental piano songs; choral jazz; chilled out rock; an honest to god rap; even a cover of Frosty the Snowman mixed with dark humour and Alvin and the Chipmunks-style singing! (The last of which even comes with a music video by the guy who did that arrangement featuring Muppet style puppets! - https://www.youtube.com/watch?v=F7UFo9_vh_s) The quality can be inconsistent, particularly on the recording side of things, but I wanted to leave the final result as it was done to the best of the artists' abilities. I want to thank everyone who contributed a song to this album: Doggi144 (who drew the album cover up above), Paul Hodges (and by proxy, the Cherwell Singers), Ben Clooney, Dave McGrath, Kevin John O'Sullivan, MC Phat Phace, and General Grunt. I honestly cannot describe how weird it is to have inspired a bunch of people to create and play music for an album, nor can I describe how amazing it is at the same time. I'd like to do something like this again next year, hopefully with even more people and contributions to ring in a new decade. We'll see what happens, but I look forward to it! In the meantime, I hope you enjoy listening to this album, that you had a good 2018 and a Merry Christmas, and that you have an better 2019 going forward. Happy New Year! In the spoiler is the original post I made, just to have it there for prosperity's sake. Last Christmas, I ended up listening to a Christmas album put together back in 2011 by the gaming website Destructoid (some of you might know of Jim Sterling, of the Jimquisition webseries? He used to work as a reviews editor on the site) - https://jonathanholmesandfriends.bandcamp.c...christmas-album. I wasn't feeling particularly great at the time, due to a bunch of stuff that was going on in my head at the time, but listening to that album helped me get through it. Not only that, but the songs ended up making that time feel a bit more special. Maybe it's because of the heart that people put into the songs, be it in quality of arrangements like Dale North's White Christmas or Samit Sakar's melancholic but peaceful The Christmas Song, the vocals of Jesse Cortez's relaxing cover of Merry Christmas Darling or Jonathan Holmes' sweet rendition of Christmastime Is Here, or even hilarious contributions like the enjoyably dumb Holmes/Ponce take on Christmas in Hollis or Jim Sterling's hilariously dark original Mommy's Not Moving. Maybe it's the fact that I'm familiar with these writers' work that gives the album a more personal feeling. Maybe it's something that I can't explain, but it made a strong impression on me all the same. I wanted to do something similar, but all I could do was release a free album full of various songs I'd done that year but couldn't figure out what to do with. I want to do something better this time, and I want to get other people involved. I want to do a Christmas album, but with a particular twist. I want to do an album with contributions from people who I've become acquainted with in various forums over the years. I want to do this because I've come to regard the posters on said forums as something of an extended family. No, we may not know each other's real names, or even our faces. But I do think about and care for them as if they were friends I know personally, and have even been influenced in certain positive directions by conversing with them. I love talking to people on here, and it's often gotten me to self-reflect and think about how to approach or critique certain topics. I also want to get people from several forums involved because I think it would be pretty cool to have contributions from a bunch of different places. Maybe there's a couple of names that you'll recognize, or maybe you had no idea that I even went to a forum you used to go to yourself. Plus, I want to find a way to show how much some of these places mean to me, and to acknowledge that through a fun Christmas album would be a heck of a way to do that. 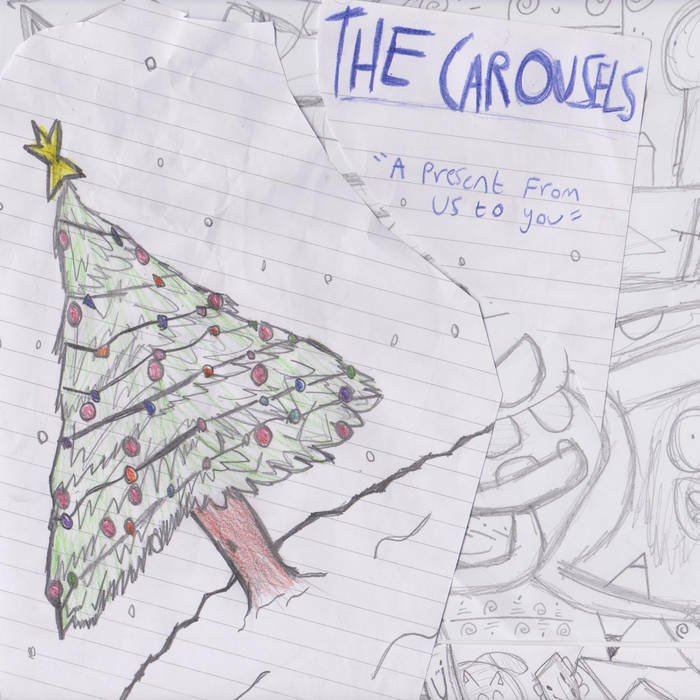 The only plan I have for this album to is put it up around Christmas for free; I don't intend to sell this for money. When I do that, I'll post links to it on here. 1. Anything goes. If you want to do an original song, feel free to do so. But if you want to do a cover, you're free to do that too. As long as it's Christmas related, you're good to go. 2. Do whatever you want for the arrangement. If you want to arrange it for a particular instrument, get a bunch of people to play it, or even just record yourself singing to a karaoke track: that's all good. 3. That also includes the genre. No matter how the original song went, feel free to arrange it in whatever genre you like. 4. Have fun! If you've only got a crappy mic to record it or limited software, that'll do just fine. If you want to record a single take of it, go ahead. If you want to record yourself singing in the bath, be my guest! This is about having a good time and coming together to play music for Christmas. 5. The latest date your song would need to be in for is the 18th of December 2018. No times or anything; as long as it's the 18th wherever you live, that'll do the job! I don't really know how this'll turn out, but it should hopefully be a good time. I'll contribute a couple of songs myself, so that everyone can join in. If you're not up for doing it, or you feel you won't have the time, that's okay. This isn't an order: just an overly long, overly sentimental suggestion and nothing more. You're good to do whatever you want, just so long as you're okay. To anyone who decides to indulge me on this, thank you so much. Otherwise, thanks for reading, and have a good day. Last edited by FrDougal9000 on Mon Dec 31, 2018 2:02 pm, edited 3 times in total. I'll update the initial post to reflect this too! If you wanna join in, please do so and I hope you have a good time! Apologies for the delay on this particular post, but the deadline for song submissions (the 18th of December) was over a day and a half ago now at the time of this post. I'm gonna give people a little bit more time to work on things if need be (I'm gonna leave it until this Saturday/22-December before I put my foot down and say that's that), but otherwise, the album is planned to be released on Christmas Day. 10 songs have been made for the album so far, and hopefully there'll be a couple more by the time it comes out. If you wanna message me about anything, please do so! Otherwise, I'll see y'all this upcoming Tuesday! Here's the big damn post for the album (sorry for it being so late that it's already New Year's Eve)! I'll update the OP to showcase this album! Thank you to everyone who contributed something to the album!